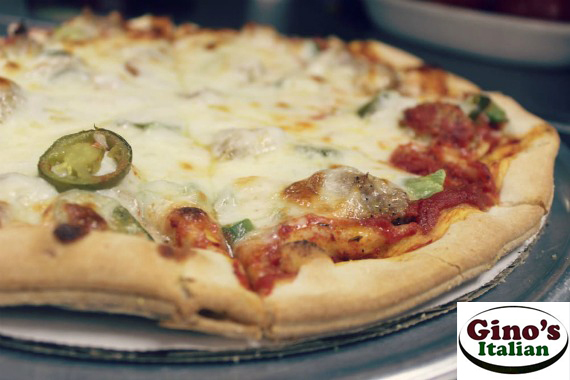 Gino’s is synonymous with deep dish pizza and authentic Italian cuisine, and we’ve been proud to serve Fond du Lac since 2002. "How badly do you wish this was in front of you right now?" "You fill the chairs. We'll fill the table." "To us, it's a place that feels and tastes like home. What does local mean to you?" "It ain't easy looking this good all the time. " Really nice place and friendly staff. They also give back to their community. Special thanks for their help from the fond du lac county Foster and adoptive parent association. I go here on my birthday almost everytime and for other occasions. The pizza there is really great, especially the Chicago Style Pizza. Also, the pizza is filled with a bunch of cheese. I recommend going here if you love pizza and big portion sizes. Yes, I'd like to receive news from Gino's Italian. Sign up for the Gino's Italian Newsletter!